Happy Caturday!!!!! I hope you are all having a beautiful day! Today is going to be a hot one so I am going to be spending the day indoors and prepping for Cosmoprof. Since I am getting excited for my annual trip to Vegas, I thought some mid-century inspired nails would be fun. 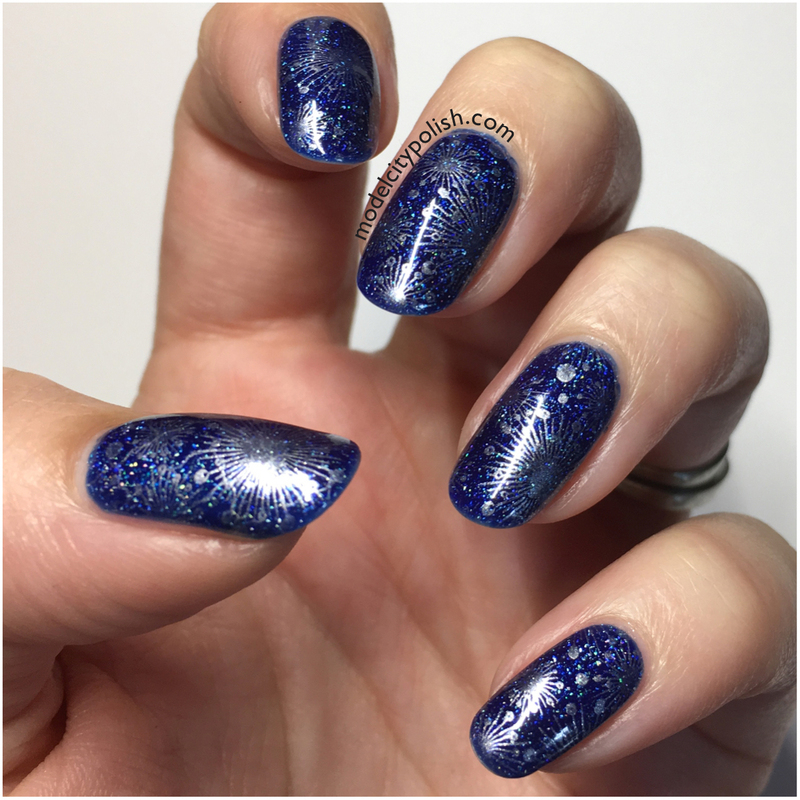 For my Atomic Nails I started with three coats of Dream by Zoya. This has been a long time love for me and it is still stunning after all this time. 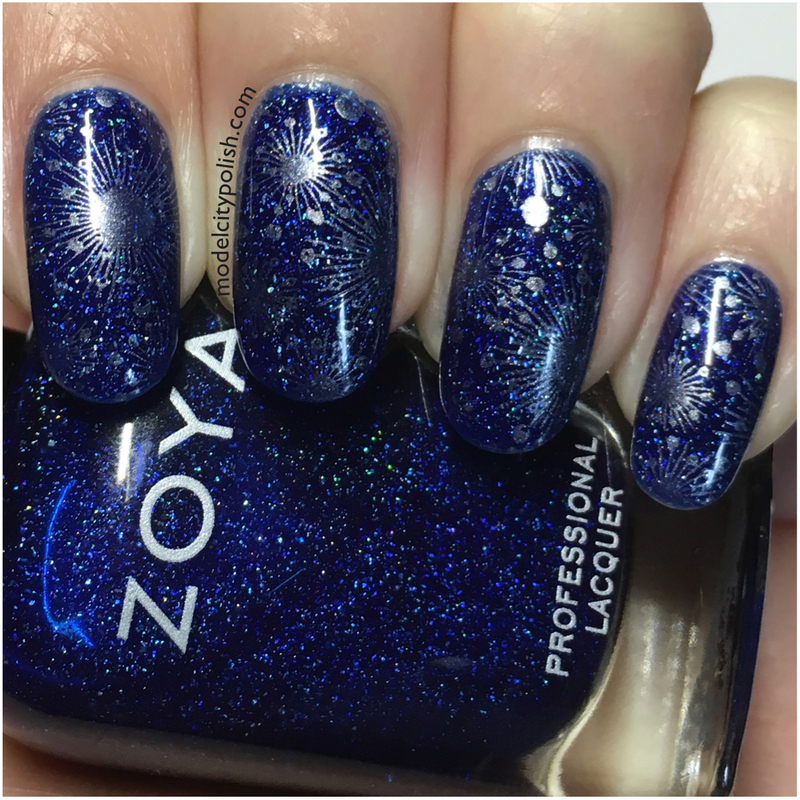 This rich blue with holographic flecks is perfect and should be in everyone’s collection. Now for some stamping. 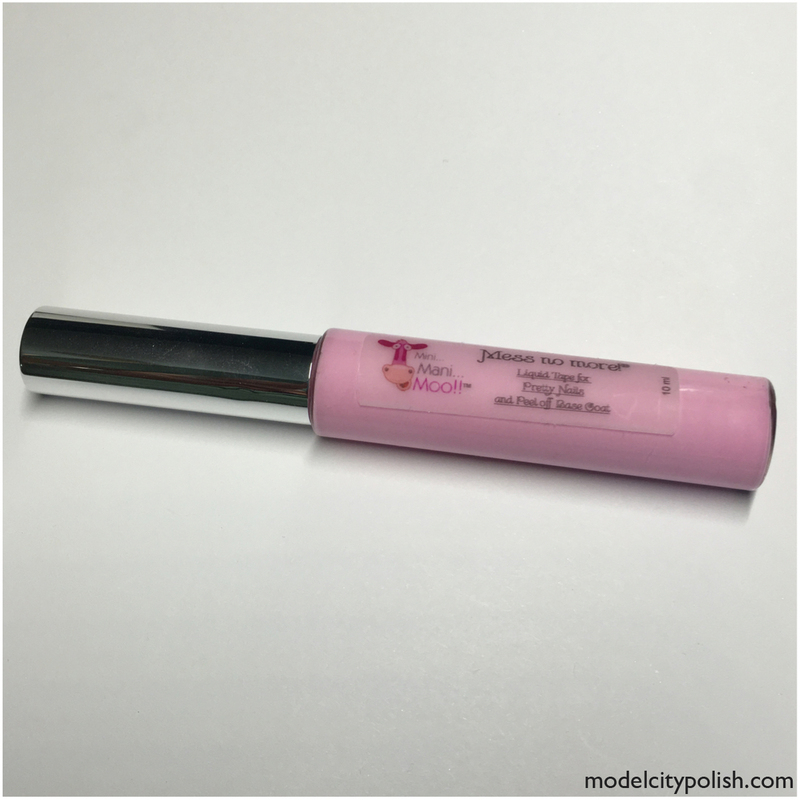 This time around I have used the Mess No More Liquid Tape from Mini Mani Moo to protect my skin from the stamping. 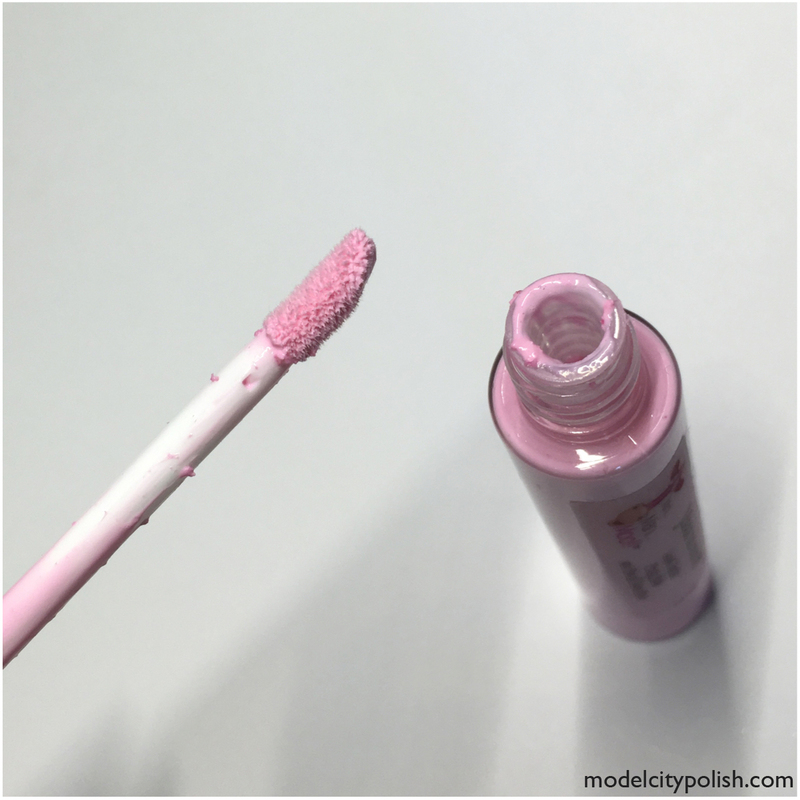 I was very surprised by how much I loved the doe foot applicator. I thought it would be difficult to work with but found that I actually got more precision application. The liquid tape has a mild scent that is pleasant and the formula was thin which again made application easy. All in all, I am loving this stuff! Now for products used in stamping. 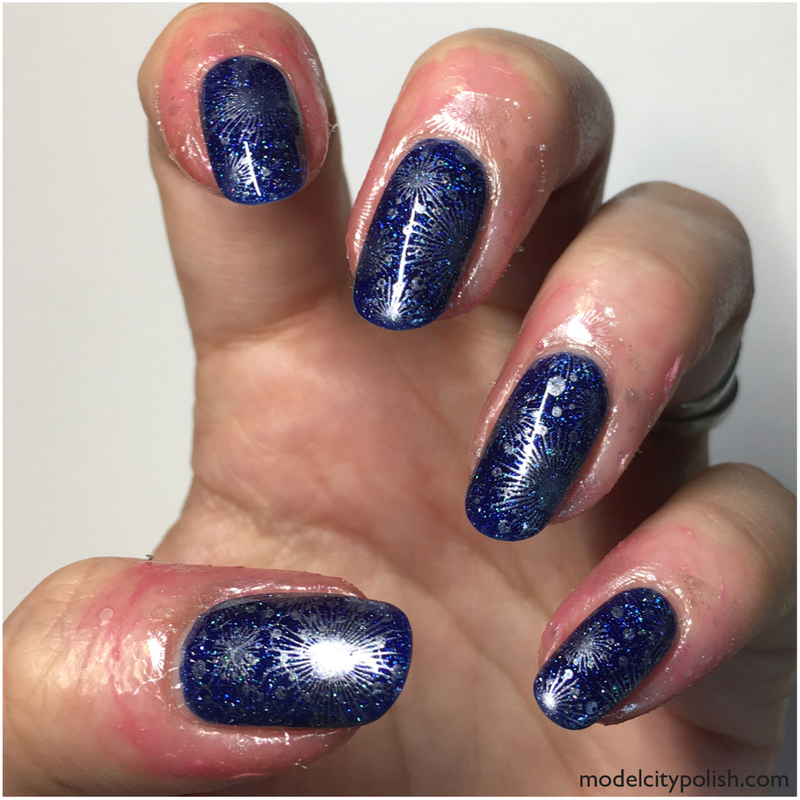 I didn’t want to take away from the beauty of Dream so I did some more subtle stamping. I used Silver stamping polish from Konad and Geometry Plate from Moyra. I then sealed it all with two coats of Liquid Macro Top Coat from SuperChic Lacquer. What do you guys think of today’s look? Not too bad. I wish the silver stamping had a been a little bolder so next time I think I will try another shade. Thank you so much for stopping by today and I will see you all again soon. Product provided for free but does not influence my opinions. This is so cute! 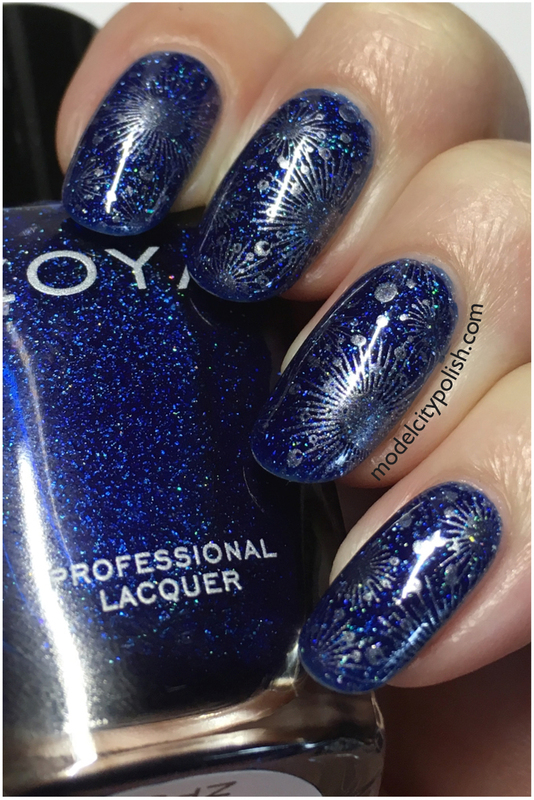 I love the Zoya holo flakes and hope they do more. I wish I could have made it to Cosmoprof this year – I would love to meet you! Lovely mani! Enjoy Cosmoprof! I hope it isn’t too hot (I’m in Arizona and it is boiling!). That stuff is a game changer. No more messy manicures ever! LOVE this! Sometimes subtle stamping is my favorite! 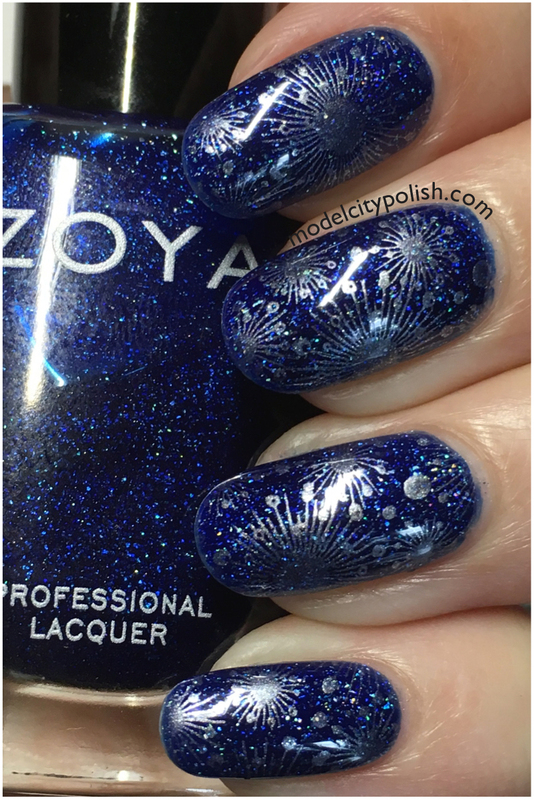 I love those barely-there stamping designs! I almost missed it. Have fun at Cosmoprof!